In this day and age, the world is consistently, and quite quickly, diversifying their primary sources of energy. As we collectively transition from fossil fuels, such as oil and coal sources, through the natural gasses and nuclear and onto solar, wind, hydro and other renewable sources, there’s quite an obvious need to deal with the gaps produced when the scales of energy supply and demand are tipped to one side or the other. Today, when looking at how supply and demand in the energy sector function, the suppliers are attempting to meet the ever-changing demands as closely as possible. However, far less predictable external factors, such as the weather and industrial customers with often varying peak demands, make optimizing the supply quite challenging. As the percentage of energy supply from unpredictable renewable sources, such as wind and solar, increases, the prediction becomes even more challenging. This is where hybridization comes into play. When discussing hybridization, we most often imagine hybrid systems featured in cars such as the Toyota Prius. We prefer, instead, to use a simpler and broader definition of hybrid systems: any system with two or more sources of energy acting together to accomplish a common task. These systems always require smarter control and, quite often, utilize a means of energy storage. Going back to the analogy of the scales, when tipped more toward the over-supply side, the hybrid system can direct energy toward storage, balancing the scales by means of “always-on-time” (AoT) demand. When the scales are tipped more towards the over-demand side, then the energy from the storage medium can be redirected as an additional supply source, creating a means of AoT supply. The reality is that adding energy storage to an industrial-scale system is still a relatively new practice. Beyond the automotive applications mentioned earlier, we’ve seen hybridization start to really flourish in marine applications to improve efficiency, offset fuel costs and reduce emissions, as well as in energy generation applications such as microgrids to increase stability. There are currently three technologies primarily being applied for different uses within these applications today – batteries, supercapacitors and flywheels – each with their own positives and negatives. The most commonly used of these three are lithium-based batteries, which have several different chemical configurations, from lithium-Ion to lithium-polymer. Battery storage is often chosen in applications like back-up power – where the AoT supply requirement is above 15 minutes in duration – due to the ability to store and deliver a charge for a fairly long period of time. Such acceptance in the market doesn’t necessarily mean that batteries are always the best choice of energy storage technology. Batteries are still expensive to implement on a large scale, are quite heavy, have limited numbers of charge-discharge cycles, and have been known to be volatile to temperature changes. Luckily, battery prices are falling quickly, driven by the growth of the hybrid and full-electric automotive industries, and followed closely by the renewable energy market. This means that, in a relatively short time, batteries will be made more viable and cost effective for customers looking to migrate to hybrid systems in their applications. Another popular storage medium is supercapacitors, especially for applications requiring less energy to be stored and supplied. Supercapacitors offer quite a few benefits over current battery technologies as they have faster charge and discharge cycles, while offering far more cycles than batteries do without a reduction in storage capacity. Additionally, they have a greater power density than batteries, which means that they can hold more energy than a battery that weighs the same. However, due to their fast discharging properties, they simply can’t provide the same sustained power output as batteries, making them far better suited for short-term boosting instead of longer-term gap filling. Applications where the AoT demand requirement is under 1 minute in duration, such as peak shaving, are particularly well suited to supercapacitor storage. While battery technology is fairly mature, supercapacitors haven’t quite reached the same maturity. There are quite a lot of ongoing scientific efforts to create supercapacitors that combine the benefits of batteries and supercapacitors utilizing cutting edge materials such as graphene, but those materials haven’t yet been scaled up to commercial production. The benefits of these types of supercapacitors would transform the energy-storage market as they would be cheaper to manufacture, would be lighter and smaller than batteries for the same amount of energy capacity, charge faster and more often without losing capacity, and would not have the same dangers as batteries today. Flywheel technologies, the third most common energy-storage medium, are mechanical storage systems that have been in use in various ways for a long time, so they’re quite a mature technology. How flywheels work is by taking a large inertial mass and providing a rotational energy to spin up the mass. This stored inertial rotational energy can then be drawn out and converted to some other form to be used at a later stage. Applications most commonly used with flywheels are time-shifting applications where the AoT supply requirement is between 1 and 15 minutes in duration, such as load leveling or spinning reserves. While flywheels are very mature, it hasn’t been until relatively recent times that materials have been created to allow for greater power density in the inertial mass. Additionally, the use of magnetic or air bearings and suspending the mass in a vacuum, greatly reduces the impact of friction on the system, resulting in a higher storage efficiency. Coupling these advanced flywheels with high-speed, high-efficiency electric motors further optimizes the overall electrical system efficiency. However, while high-efficiency flywheel-based storage systems have great potential, the investment costs for these advanced flywheels are quite high and repayment times long. These three storage mediums are the most common, but other storage techniques have been applied all over the world. A hybrid solar power plant in Spain uses a solar-concentrator/solar-thermal system to generate energy, but uses molten salt as the storage medium in a time-shifting application, allowing the facility to supply energy derived from the sun both day and night. Another method, pumped storage, typically used in hydroelectric plants, uses the potential energy of masses of water at higher altitudes as the storage medium. In these cases, the hydroelectric plant pumps water into a reservoir at peak supply times and then releases the water as an AoT supply in times of peak demand. Compressed air, while a bit more complex than what I will describe here, is also quite often used as the selected storage medium. Much like in the pumped storage, power plants compress air during peak supply times and then release that compressed air as the AoT supply during times of high demand. 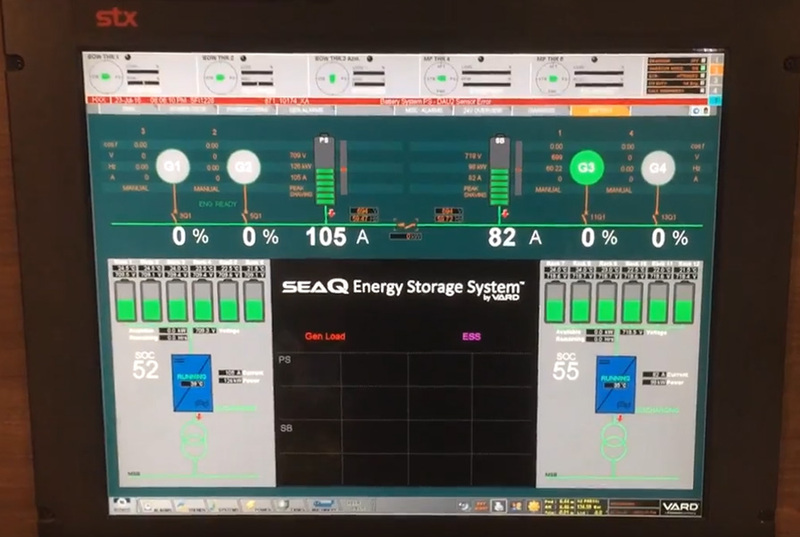 Regardless of the energy-storage medium selected to best serve your application, adding storage to your system requires, at a minimum, energy-management systems and power-conversion components. Since the world doesn’t operate with the same voltage, current or frequency, power-conversion components, such as inverters and converters, are used to ensure that the supplied energy is always delivered in the right way at the right time. Whether adding energy storage to a common AC bus or a common DC bus system, Danfoss Drives has the power components that best serve your needs. Over the next few months, we’ll be diving deeper into our hybridization products such as our VACON® NXP Grid Converter and the new VACON® NXP DC/DC Converter. To learn more about how Danfoss Drives can help you add energy storage to your applications, visit the Hybridization page on our website. Check back regularly with us here at FocusOnDrives.com for regular updates on the best ways to ensure that your investments in AC drives are always the safest investments around. We’ll be following up on the topic of hybridization with some additional application posts, beginning with a series on Grid Connectivity. Finally, let us know in the comments what topics give you the biggest challenges and how we can help you overcome them. Regardless of whose name is on the label, we’re here to help! In the meantime, you can find out more about all of our products here. Thanks for your comment. Kind regards. Very good explanation of the basics of Hybridization. Most useful. Congratulations, quite a comprehensive post!